This pendant depicts a Moose in a tall pine forest. 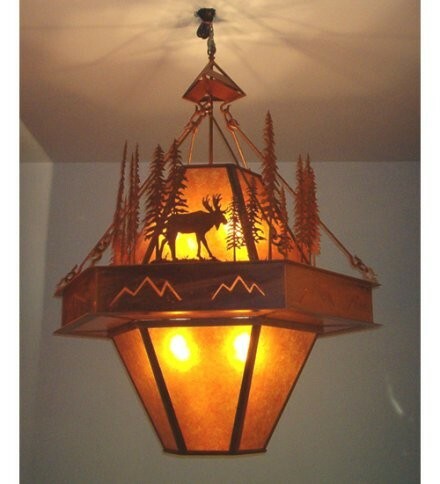 The center section of the Moose and Trees Chandelier is illuminated by Mountain Silhouettes. 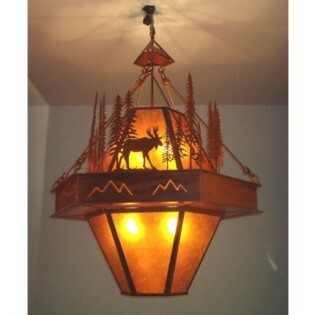 This chandelier is finished in rust and has amber mica panels.